Donate and be a part of raising $60,000 during the month of April for FOP Awareness Day. Generous donors will match the first $30,000 we raise in April, but we must raise this amount to be eligible for the match. Help the FOP community meet that challenge - give now! You and your friends can spread FOP awareness all year long. 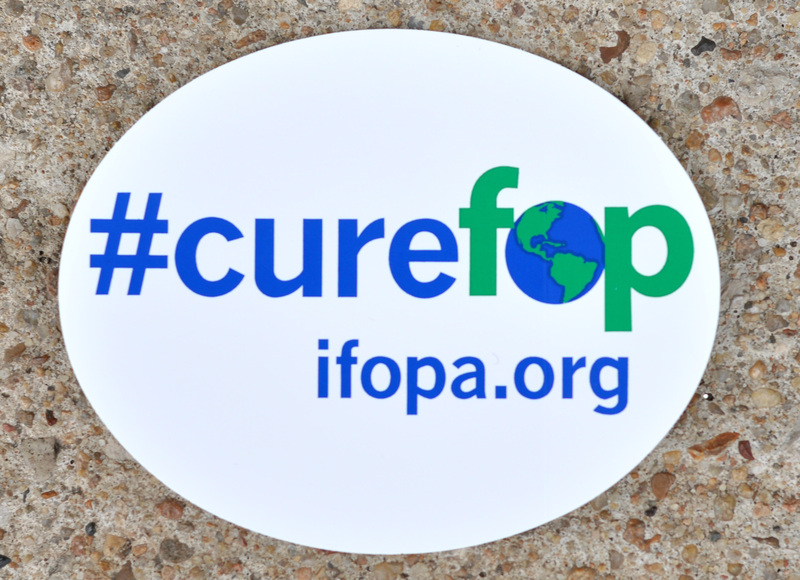 Anyone who donates $20 or more to International FOP Awareness Day campaigns will receive a #cureFOP car decal. Thank you for your donation to the IFOPA's Awareness Day Campaign. We're excited and honored that you've chosen to support us with a gift today. Please keep this receipt for your records. To make an even bigger impact, spread the word! Tell your community why you support by sending an email or sharing your support on social media. If you have any questions, feel free to contact us at .